Picture Perfect's home improvement specialists can install new windows or replacement windows in your home. We install only top quality window products from leading window manufacturers. We install all styles of windows, including double hung windows, bay windows, bow windows, casement windows, awning windows, gliding windows, skylight windows, and other styles. While the appearance of your home's windows is certainly a major consideration, window efficiency ratings are probably more important. Windows with high energy efficiency ratings are the wisest choice when looking for new or replacement windows for your home. Double-paned windows are almost three times as efficient as single-pane windows, for example. Energy efficient replacement windows will help lower your energy costs, reduce home maintenance work, and will increase the value of your home. 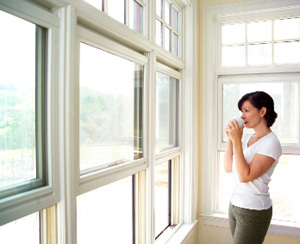 Replacement windows are energy efficient and will help lower your home heating bills. Many old windows were made with a single layer of glass, while most of today's popular replacement windows are made with two panes of glass for greater energy efficiency. New vinyl replacement windows don't have to be continually scraped, caulked, or painted. Old windows are labor intensive, often don't open and close properly, and are difficult to clean. New vinyl replacement windows don't need to be painted, are easy to open and close, and are easy to clean and maintain. 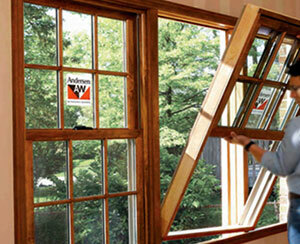 Replacing old windows with new distinctive windows or energy-efficient windows will add to the value of your home. New windows will also beautify your home, add more light and openness to the home environment, and improve the quality of home life. Call us today for all of your new window and replacement window needs. Our home renovation experts will remove and dispose old windows, prepare the window opening to specifications, and install your new replacement windows to perfection.